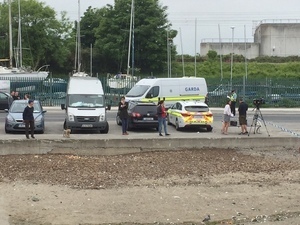 A 30-year-old man has died after a shooting at Bray Boxing Club this morning. 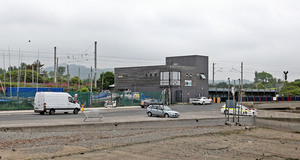 Two other men, aged 35 and 57, were injured in the incident, and have been taken to hospital for treatment. 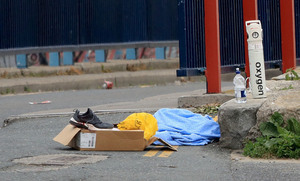 Boxing trainer Pete Taylor, the father of world and former Olympic champion Katie, was one of those injured. 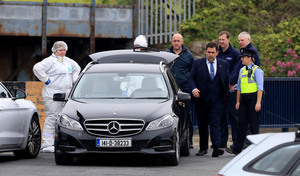 Gardaí described their injuries as serious but not life-threatening. A gunman entered the boxing club just before 7am and fired a number of shots. 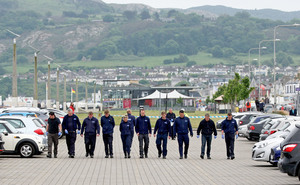 The suspect fled the scene in what is believed to be a silver-coloured Volkswagen Caddy van with Northern Irish registration plates. Posted in Misc and tagged Bray Boxing Club at 10:22 am on June 5, 2018 by Bodger. Katie Taylor’s Dad was one of those shot. He was shot in the chest. He’s in hospital. Getting shot is karma for doing your job these days? I can’t wait to see what karma does to you for that comment. Do you know his reputation? Because I do. I used to work with him years ago. He’s not a nice person. Do give us more please. He isn’t training the Kinahan gang. He’s training boxers, including ex-Olympian David Oliver Joyce, who are connected to the MTK Gym which the Kinahan gang has connections with. Hopefully his recovery is quick. The Mustang is Pete Taylor’s and the A5 belongs to a well known criminal gang associate. Truth will be out soon and I’ve no doubt retaliation and retribution will be all too swift. It’s his M.O. are you suggesting that mr taylor has a m.o. relating to retaliation and retribution? or were you referring to the gangster? Well, I guess he wasn’t hard enough to defect a bullet. We all know loud hardshaw auldfellas growing up. Most of the time they are doley losers with clans of kids. At least this fella was doing something instead of milking the social welfare system year after year, (mind you, he did get multiple €100k loads of public money in grants to open this gym but still) Probably not a nice guy and the type of damaged insecure bully personality type that I avoid , but getting shot? He was allegedly used as an enforcer by a former local criminal drug lord, Brendan Kinlan. Since Kinlans departure from the scene he’s found a new sideline of work for another local drug dealer and convicted murderer. Problem is, The Businessman in Wicklow isn’t too happy with this new association as it interferes with his control of supply lines around Wicklow and South Dublin. The man in Estepona and his Colonel have allegedly given the green light to take out any threats to their markets. Fitzer is probably on that list too as the turf war heats up and old grudges are likely to be settled. 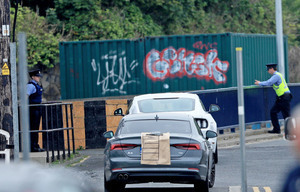 All connected to a business in Dun Laoghaire and a property deal that went sour where one associate was murdered. 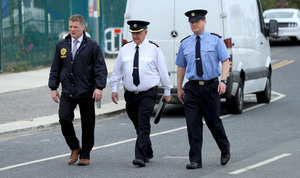 Garda Williams and Garda Reynolds seem to have been briefed about what story to push, but not the full story and all the sordid connections between the “low lifes” and high society. Think of it a bit like the film “Training Day”. The only difference is an ex-detective doing the training and his rookie is now one of the main detectives in the area. I hope our world famous investigative journalists don’t go investigating the brothels and prostitution rings in Brayzil as that would open up a bigger can of worms for some respectable types and their former commissioners. They might even find links between both drugs and prostitution trades, heaven forbid. What’s the chances our media boyos try push this story as a CIRA feud? Would be very convenient for the real puppet masters. That’s quite a situation you’re furnishing us with details of, Italia. I agree, they’ll conveniently divert attention and blame the RA, anything but blow the whole thing open and do some real investigative journalism. The Businessman’s a Woodpecker, non?! 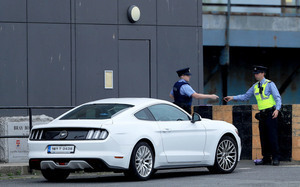 Wonder why they covered up the reg of the Audi and not the Mustang? Because the car belongs to an innocent and dead person? Jesus! Irish boxing just got a whole lot more sinister. I hope this isn’t a regular occurence. Priced out of Ballybough? Try Bray. 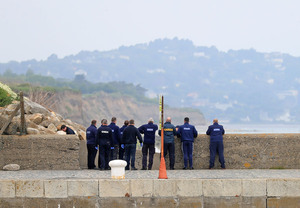 Gun murder most foul has become a weekly occurrence in Ireland. Part of the New Ireland, as we ritually wash the sins of Old Ireland in the public square. O Brave New World that hath such people in it. Seems to be a lot of misinforamtion here. MTK is a Boxing management company with links (i.e. one of the founders) to the Kinehans. They put on the fight in the regency hotel that the shooting occured at. Even though it’s a front, They represent a LOT of Irish Boxers (Carl Frampton, Paddy Barnes and I’m pretty sure Michael Conlon is on their books) and it’s pretty hard to get away from them in this country. Pete Taylor training MTK boxers certainly doesn’t mean he was training Kinehan henchmen and it doesn’t even mean he actually had a direct connection with any illegality although being involved in boxing in Ireland he’d certainly know of the background. It now appears that Mr White Mustang Driver was the intended target indeed. RIP to the poor guy who met his end. The Irish boxing/MMA “game” really is deadly toxic.